On 20 and 21 February, in a joyful atmosphere of celebration, the EoC conference was held at Mariapolis Faro, Croatia. To celebrate 25 years of EoC participants of the conference came to Mariapolis Faro not only from Croatia, but also from Serbia, Romania, Macedonia, Slovenia and Bosnia and Herzegovina. There were a total of 120 people: those present, professors, entrepreneurs, workers and students, followed a very varied programme with keen interest. Luigino Bruni, began his talk by pointing out how much we should thank for the past 25 years, for all people who believe in this project, but also for those who have gone down this road but then did not manage, because companies are living creatures that are born and later also die. Then he emphasized the importance of communion: "The EoC will only work in the community of people who live the communion of goods - yesterday, today and tomorrow. If that dimension which means fraternity, communion, celebration, joy is lost, the help of donors would make little difference. This popular dimension to help each other must be the foundation of the EoC." And he added: "You have to throw in creativity, you have to create a thousand ways to live the EoC today." In a room where there were many young people, many of them students of economics, one could feel the enthusiasm and strength of these new ideas, presented in a vivid and dynamic manner. The experiences shared were also engaging: a family business testified to never having avoided paying taxes; two entrepreneurs operating in the same field and in the same city who could be competitors, but both taking part in the EoC project have decided to cooperate and live in communion. Some companies are just making their first steps, others are living through difficult times, others face various challenges, but at the same time they also experience success and joy. All this, when shared, acquires new value, enriching and involving the participants in the logic of communion. Some young people have described how they experience the culture of giving. Luigino Bruni - who has always considered the role of young people essential in the EoC -, prompted them to aim high with their desires, and not to settle for little things (like a smartphone): "You young people must be proud and tell your classmates: the things that I deal with are smarter than your stuff." Prof. Mirna Valdevit the University of Zagreb gave her very convinced testimony about the EoC as a lifestyle. In the round tables and workshops the need for a more participatory communion between entrepreneurs as well as between entrepreneurs and young people and social schools was highlighted. The Slotmob initiative was presented, with the proposal to do something like this also in Croatia. Then the ethical bank was introduced - which soon will open in Croatia. Of course a time of celebration for the twenty-fifth anniversary with a cake and live music also had to be included in the programme. 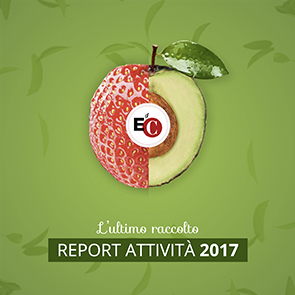 "We should not be consumers of communion, but its creators," Luigino Bruni said at the end inviting everyone to form a group of at least 20 people around themselves to exchange ideas and activities of the EoC. "We need to feel the urge to announce the EoC to our friends, because if we all want to be here in 25 years, we have to create 100, 1000 new businesses," he added accompanied by the applause of those present. Creativity has been set in motion, with ideas and proposals to get the EoC to reach new environments. "I thought I'd come and listen to good ideas on the economy, instead I got to know a project that is already running," commented a student who participated for the first time. Another participant said: "For me the greatest joy was to see new faces of young people, who followed the programme with great enthusiasm. I'm counting the days to the next meeting, with ever growing faith and hope that this is the right path and that all together we can reach our goal." "I was impressed especially by the enthusiasm and the special strength of entrepreneurs who work this way and live each day as 'doves among the hawks'." "I had the impression that theory and practice complement each other perfectly during the whole meeting; there were no separate chapters on "the theory" and "the practice" but they were one... One could feel a wonderful communion..."